There’s much more to the China-Pakistan Economic Corridor than the rosy headlines touting friendship between Islamabad and Beijing. About a month ago, Pakistan withdrew its request to include the $14-billion Diamer-Bhasha Dam in the China-Pakistan Economic Corridor (CPEC) project citing strict monetary conditions on Beijing’s part as being against the country’s national interests. The fact that an energy-starved country like Pakistan has pulled out of a dam project that it has not been able to complete on its own for years is significant. While the exclusion of a single major project doesn’t mean that the whole infrastructure scheme between the two countries is in danger, observers warn that Beijing’s strict monetary conditions have landed the future of Pakistan’s whole economy in a tight spot. The whole process of Chinese-funded projects has not been transparent. There are alarming reports about the levels of debt these secret dealings will impose on Pakistan. 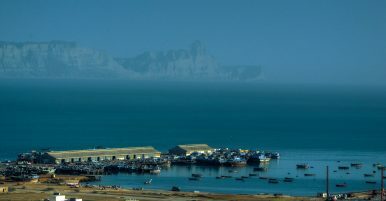 Michael Kugelman, the deputy director of the South Asia program at the Woodrow Wilson Center, believes that there is a growing realization among the policymakers in Islamabad that the long-term financial implications of a number of deals made under the CPEC are troubling for the country. “The debt repayment terms are not transparent and are difficult for outside analysts to access, but what seems clear is that Pakistan has put itself in a position where it will need to put very large amounts of money into debt servicing in the coming years. For an economy as fragile as Pakistan’s, that’s an undesirable and perhaps evens an untenable proposition,” says Kugelman. Apparently, the government in Pakistan is not interested in making the details of such dealings public, for it might generate serious controversy about how agreed upom financial terms are likely to pose a threat to Pakistan’s sovereignty in the long run. Practically, Islamabad’s emerging economic model is becoming dependent on China. However, at the same time, the country doesn’t have any other viable economic plans to revive its choked economy and domestic financial base. Over the last few years, Pakistan approached economic collapse on several occasions with China offering life-saving support to the country’s economy. If Beijing continues to push with its aggressive monetary conditions, it’s likely that in the coming years, Islamabad may cancel more projects which do not bode well for the overall commercial viability of the project. “A one-off incident of Pakistan backing away is not so serious, but if we start to see multiple cases of Pakistan walking away, then the very viability of CPEC could come into question. Given the astronomical level of importance that Pakistan and China have placed in CPEC, any suggestion that the project may not see itself through is cause for alarm,” suggests Kugelman. All of this points toward the conclusion that beyond bilateral rhetorical flourishes, there remain some critical monetary, security, and capacity issues that can hamper the future of the CPEC. Certainly, growing frustrations on Pakistani side raise doubts as to whether the project will ever be concluded without leaving the country in profound debt. It remains to be seen how far can China go with its tough conditions, for there is a deepening urgency in Islamabad about saying “No” to Beijing’s habit of finding its wont with all deals that certainly undermine Pakistan’s interests.